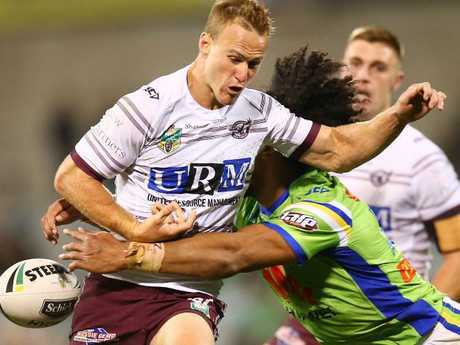 FORMER Manly and NSW enforcer Anthony Watmough has blasted ex-teammate Daly Cherry-Evans, labelling him selfish and a "f---wit". There have long been rumours the Sea Eagles halfback is far from the most popular player in the league, and those reports were loudest when senior players such as Watmough and the Stewart brothers - Brett and Glenn - were still running around at Manly. It was reported senior players in the Manly set-up didn't get along with the playmaker, and Watmough revealed in no uncertain terms how much the halfback rubbed teammates the wrong way. Watmough made the claims on the Hello Sports Podcast, saying Cherry-Evans "turned into a f---wit" after making his NRL debut in 2011. 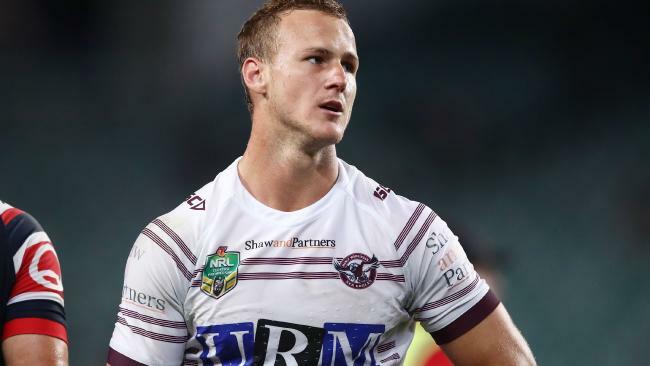 The back-rower said one half of the Manly board "loved the younger guys", which gave Cherry-Evans more power than he deserved, and the No.7 had threatened not to turn up to training unless he was given more money, which was where he lost the playing group. "They (the board) really took a liking to Cherry-Evans. So after 2011, Dessie (former coach Des Hasler) left and so I sort of heard whispers, well it wasn't whispers, it was on the back page of the f---ing paper (DCE demanding more money)," Watmough said. "Told him not to turn up to training, not to give a f--- about the boys. I've looked after him, gave him whatever he wanted as a kid, always made sure he didn't want for anything. "He just looked me straight in the eye and went, 'Nah, not turning up.' So I just went, 'F--- you.'" Daly Cherry-Evans is a polarising figure. Watmough said he told coach Geoff Toovey to play hard ball and punish Cherry-Evans if he failed to turn up to training. But in the end the Manly mentor succumbed to board pressure, and that was where he lost Watmough's trust. "I've walked out and went to Tooves and said, 'Don't give him any money. You've got him by the balls. If he doesn't turn up (to training), fine him.' And Tooves just succumbed to the board," Watmough said. "Next thing we know he (Cherry-Evans) is up around the $500,000 mark after being on $50,000 (a year). So that's where Tooves stopped worrying about the players and started worrying about his own back. "The board wanted Cherry-Evans … Tooves chose one side of the board over the players and that's where he lost me." Manly has also courted controversy this season. It was reported players had approached coach Trent Barrett and said they were no longer willing to play alongside Jackson Hastings. Hastings was dumped to reserve grade and hasn't been sighted in the senior side since. Watmough said although he didn't know Hastings personally, he had no doubt Cherry-Evans - among others - likely bullied him "into a corner" to the point where his place at the club became untenable. 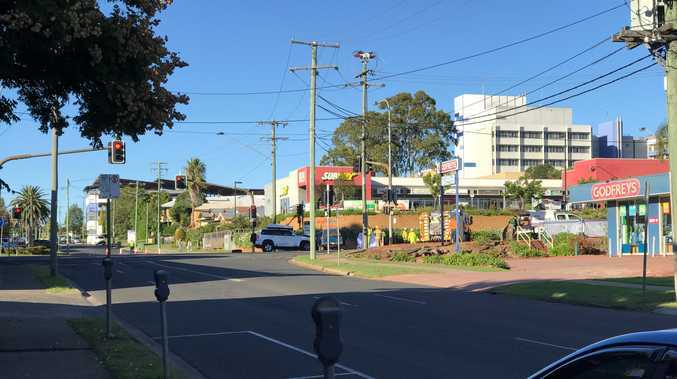 Watmough likened the situation to other dramas that had unfolded on Sydney's northern beaches and said the one common factor in everything was Cherry-Evans. Watmough and Cherry-Evans didn’t get along. "It doesn't take a rocket scientist to see he has probably p---ed one too Manly people off in the game," Watmough said. "I think people are starting to see it for what it is. "They thought we (senior players) were the issue and then we left. Then the next year Tooves (Geoff Toovey) was the issue, then they got rid of him. And then all of a sudden poor Jackson Hastings. "I don't really know the guy. I know people have different opinions of everyone but they, because Cherry-Evans didn't like him, they f---ing bullied him into a corner, which was pretty poor on the club's behalf I think. "Cherry-Evans was in the thick of it then. There's only so much one person can be involved before people start to realise, 'Maybe we're barking up the wrong tree here.'" Watmough said he had great respect for Manly coach Trent Barrett and believed singling out Hastings and marking his cards was the "only s--- thing he's done at the club". Watmough also said was relieved to finally get issues off his chest that had been weighing him down since he left Manly at the end of 2014. "People are going to hate me for coming out and saying this, but people have to know at the end of the day what the real situation was," he said. "I didn't even want to speak about it, but there comes a time when I feel that I had to. "I seriously hold on to that every day and that's the only thing that has stopped me from letting go of everything - because I haven't told my side, the real side that people didn't get to hear. They've been told many different things and read things that (aren't true). "I feel a weight being lifted off my chest. I'm being honest. I've just been holding on to that."